Our AeroTech SteelFiber Driver shafts are available in three weight options / models of SS65, SS75, and SS85. AeroTech engineers designed their SteelFiber series with a graphite inner core surrounded by a steel fiber surface layer. Originally, this technology was for iron shafts but it worked so well that now they build driver shafts using the same design. 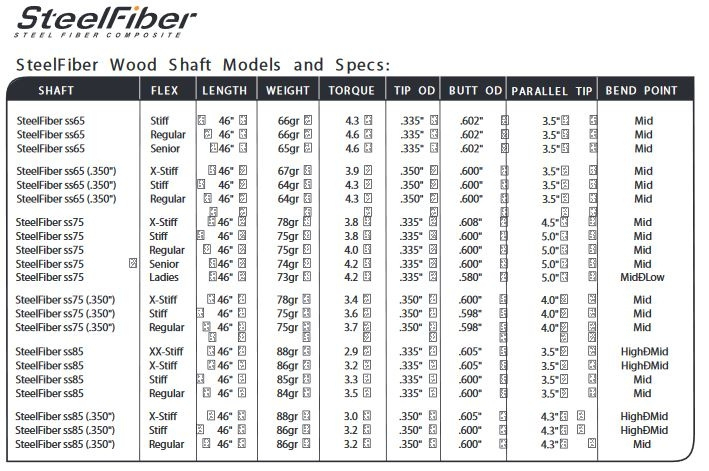 We can trim these drivers to make fairway wood shafts for those who want consistency through all of their wood shafts.